Word started making the rounds last night about the list of finalists for this year’s Oregon Book Awards. Jeff Baker has the complete list in this morning’s Oregonian, along with the lowdown on how to vote for the special readers’ choice award. The ceremony will be April 25 at the Gerding Theater at the Armory, Portland Center Stage’s home space. Congratulations to all the nominees in the seven categories — fiction, poetry, general nonfiction, creative nonfiction, children’s lit, young-adult lit, and theater. And a special nod to a few Friends of Scatter — George Taylor for his play Good Citizen; Marc Acito for his collaboration with C.S. Whitcomb on the stage comedy Holidazed; K.B. 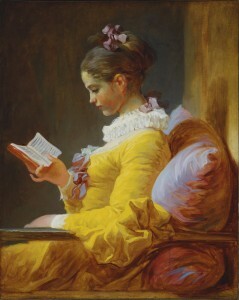 Dixon for his novel A Painter’s Life. All of this is an honor, and the awards ceremony is bound to be a lot of fun. But as writers tend to do, most of these people have already moved on to new projects. Acito is shifting his attention to New York and a new life in the world of Broadway musicals. Taylor’s had another play, The Strange Case of the Miser at Christmas, on stage for a first reading. 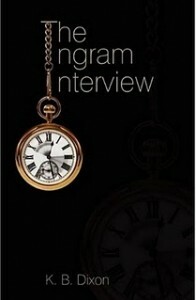 And Dixon has just released his newest novel, The Ingram Interview, through Inkwater Press. Ken Dixon, whom I first got to know when we were both working at The Oregonian, is a drily funny and well-read fellow. When I was filling in at the visual arts desk for a while I had him write some reviews, and was taken with his well-informed and independent pieces. He wasn’t contrarian. He just knew his own mind. Only shortly before I left the paper, at the end of 2007, did I learn he was also a novelist.